Mental health is a growing concern on today’s college campuses. Learn about the various mental health challenges facing college students, the support and counseling resources available to them, and practical measures and coping strategies to help students overcome behavioral, emotional, and psychological obstacles. 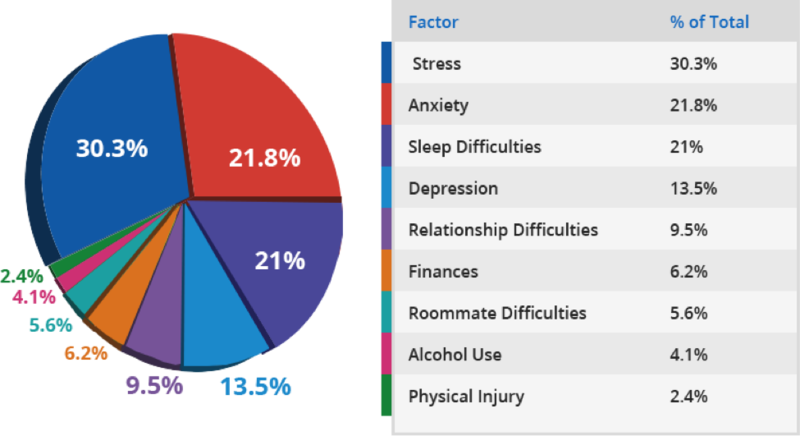 What constitutes a normal level of stress? When does sadness cross into depression? Where does someone go for guidance and counseling when these feelings become too much to bear? This guide serves as a resource for college students who need (or think they might need) help. Leveraging the expertise of several mental health and counseling experts, this resource explores the various mental health concerns that today’s college students face and discusses where and how students can find help. These experts bring with them years of on-the-ground professional experience with student mental health issues, along with answers to some of the more pressing questions about anxiety, depression, stress, and other concerns that have become intertwined in the fabric of college life.